This comfortable chair has a solid wire frame to allow for high density stacking. Available with or without arms and upholstery. 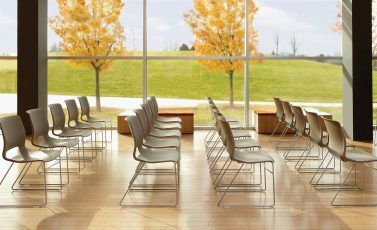 The contoured one-piece plastic seat provides good support and flexible, comfortable ergonomics. 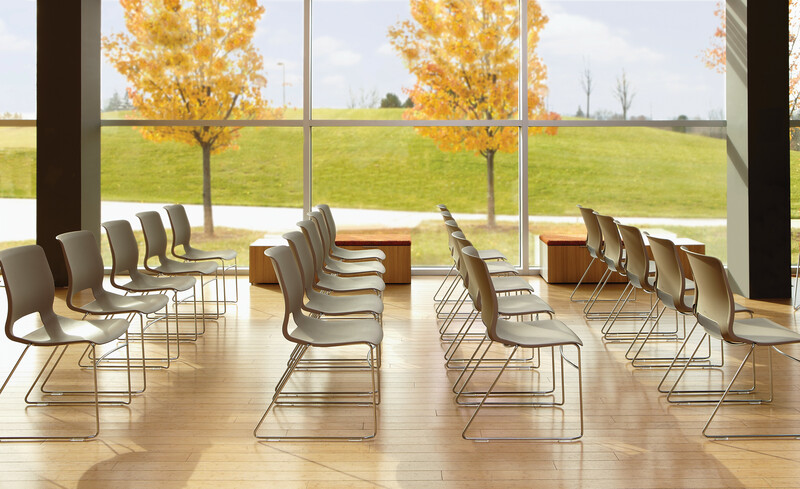 Available in both neutral colours and modern bright tones, this chair is a favorite for training rooms, collaboration and cafeteria use. Non-upholstered chairs stack 12 high on the floor or 40 high on the dedicated cart. Chairs are warranted for users up to 300 lbs.